Safety, shelter and food for those who have been displaced by the hurricane. Safety and resolve of people involved with professional and volunteer relief efforts. Mobilization and communication of volunteer teams. Comfort for those who may have damaged or flooded homes and property. God to use this tragedy to create new partnerships and fellowships and spread the Good News of Jesus. Convoy of Hope has a truck containing food, water, generators and other relief items to be pre-positioned just outside Florence’s pathway. A full fleet of vehicles, with more relief supplies, is set to deployed to join the advance team. 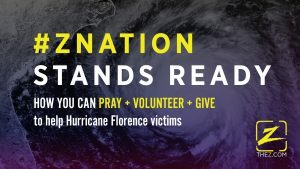 Convoy of Hope’s goal in responding to Hurricane Florence is to give people help and hope in times of great need. Teams in the field will distribute relief supplies to storm survivors, coordinate volunteers and assist in cleanup efforts. Convoy of Hope will be working closely with local, state and federal officials in this response. Samaritan’s Purse Disaster Relief equipment is packed and ready. Their staff have been in contact with partners in the projected storm impact areas. They stand ready with a volunteer team to be the hands and feet of Jesus. Once the damage assessments are completed and deployment locations are identified, their staff will contact you to discuss scheduling your volunteer trip. 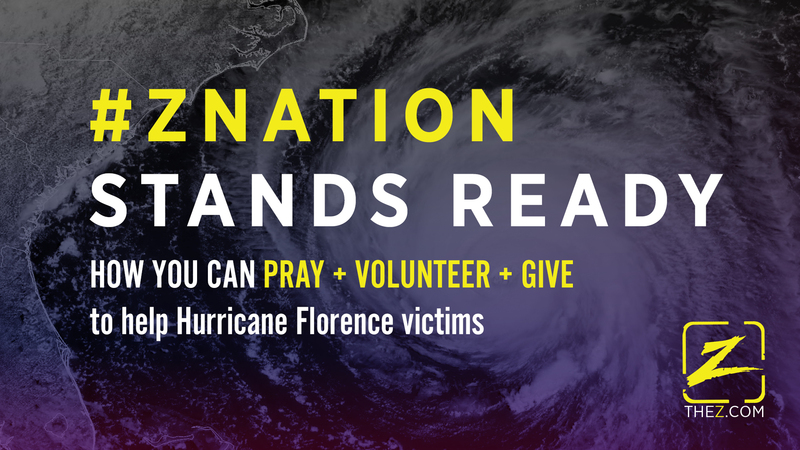 Please join us in praying for all those in the path of Hurricane Florence. Harvest Hope Food Bank is helping provide food to people in emergency shelters that are unable to go to their homes because of their roads being closed. The Salvation Army is providing food, shelter, emotional and spiritual care, and other forms of emergency assistance to disaster survivors and rescue workers. They are bringing hope to people affected by this terrible storm and provide The Salvation Army with the resources needed to offer comfort to people through their darkest days. CrowdSource Rescue is an organization that helps empowers neighbors to help neighbors, via use of mapping, tracking, and rescue technology.